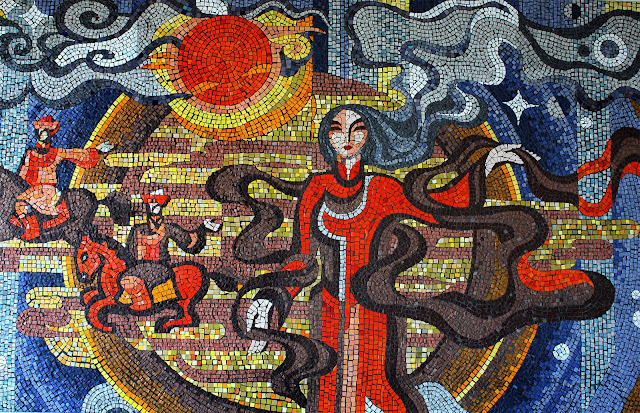 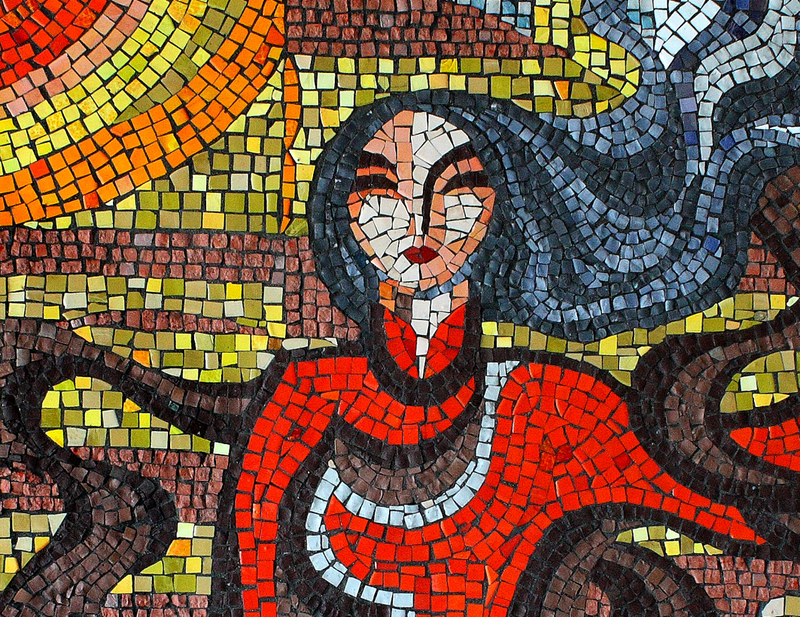 If you are ever just passing through Eastern Siberia, be sure to stop into the Ulan-Ude Airport to get an in-person look at these incredible mosaics. 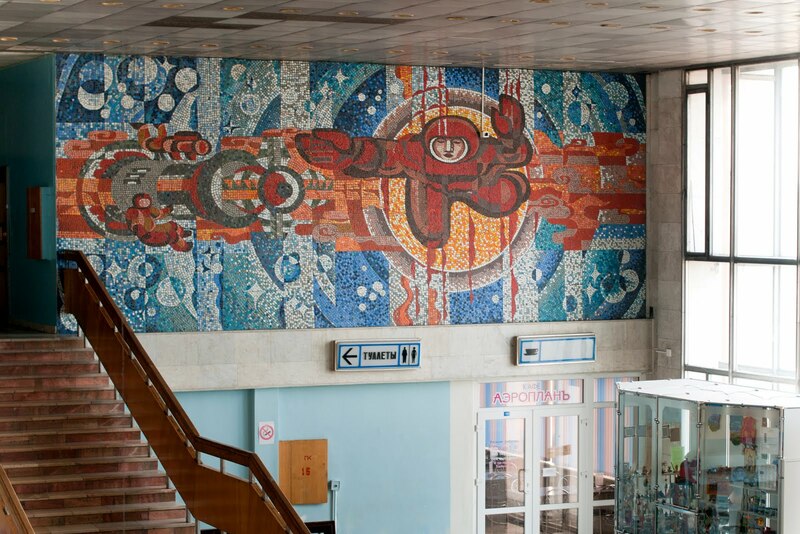 I tried and tried to find out who created these murals, but had no luck. 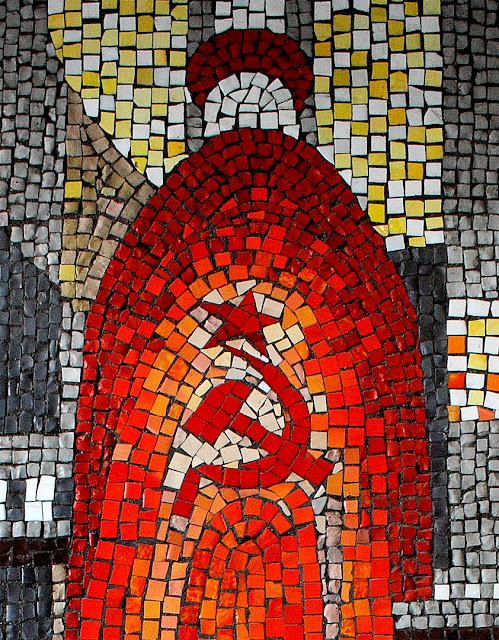 If anyone out there knows anything, please fill us in! The only information I was able to obtain was that the terminal that houses the mosaics was completed in August of 1983, so I assume that this is when the mosaics were completed too; although they look earlier to me... who knows. This great mosaic depicts a Soviet cosmonaut pointing the way to the restrooms! 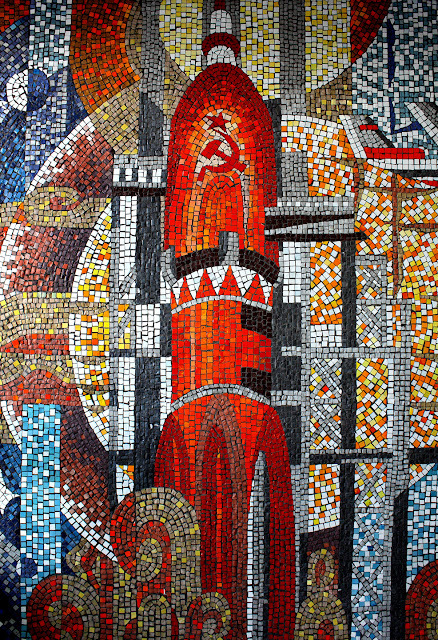 Soviet rocket launch- there is just something about the hammer and sickle symbol that intrigues me. Great example of using various mosaic "opus" styles to create a balance between stability and movement. 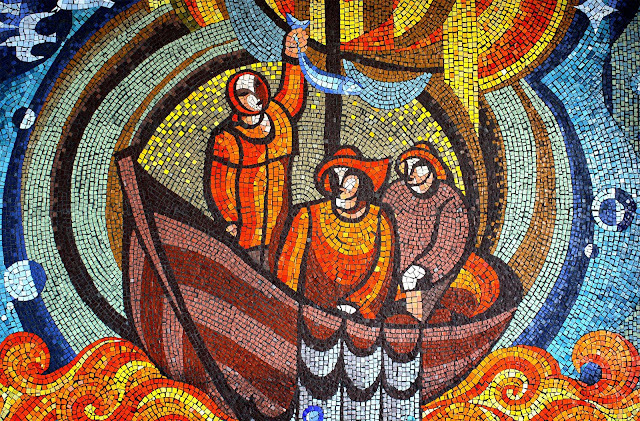 Fisherman and women; great movement or "andamento" to this mosaic. 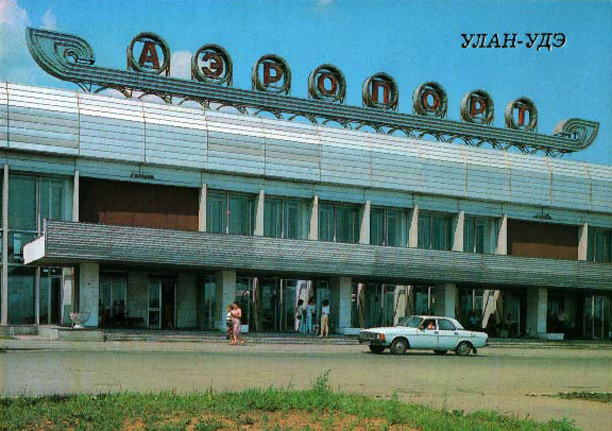 Ulan-Ude Airport postcard, c. 1988. 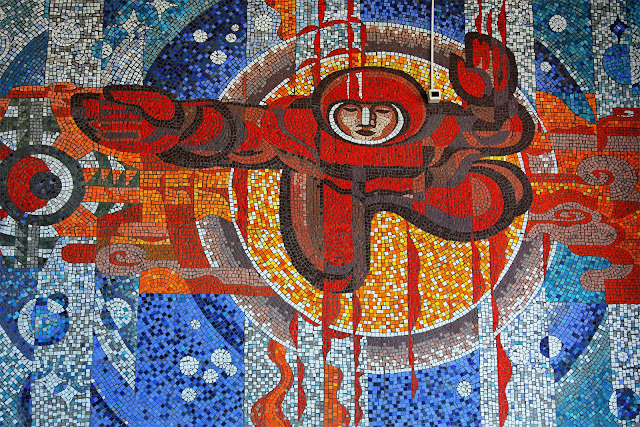 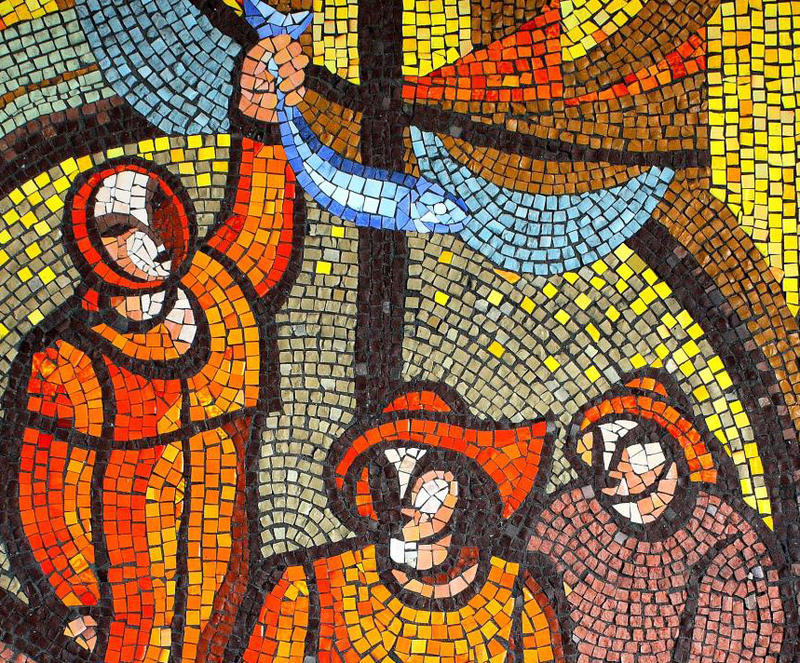 If haven't already seen my other posts on Soviet cosmonaut mosaics click here and here. 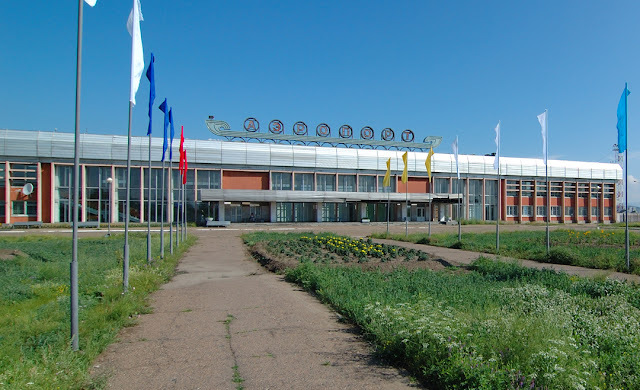 Mmmm... ! A very nice & lost place. 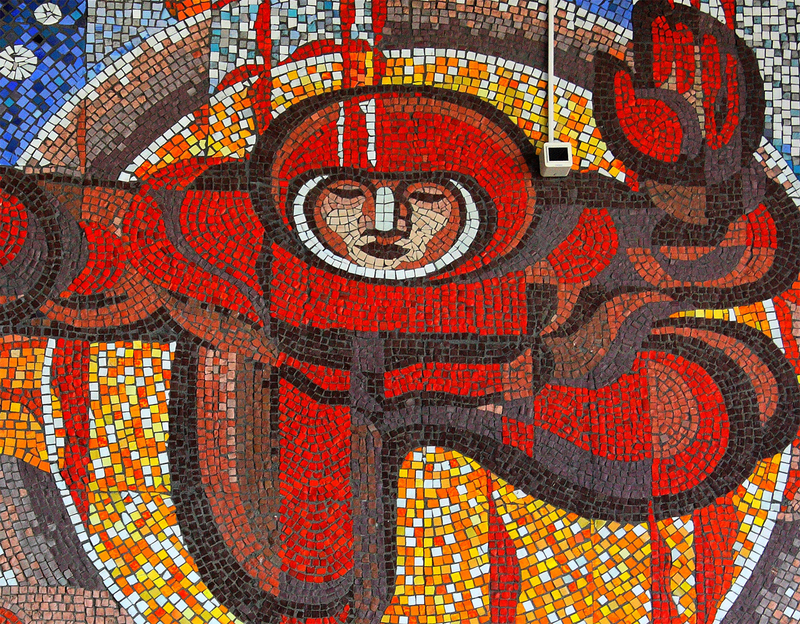 You're mid-centuria space is excellent.